Yes, according to the Radio Times, in an article from last month I’m sadly only just now seeing, the name “Sherlock” entered the name of top baby names for boys in England and Wales for the first time in 17 years. 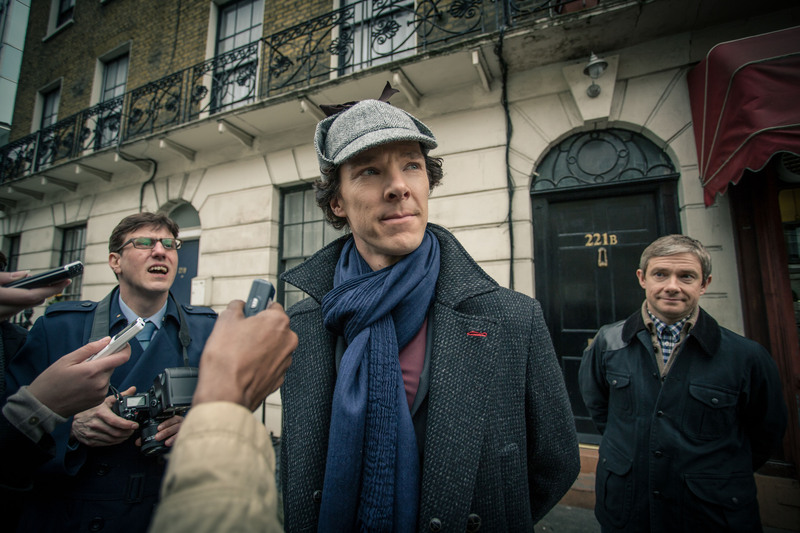 In fact, in 2012 five baby boys from five different families were given the name Sherlock. This is just amazing to me. Amazing! Between 1996 and 2011 the detective’s name didn’t appear at all in the annual lists of top baby names for boys compiled by the Office For National Statistics. Of course this doesn’t mean that a random child here or there didn’t end up with the given name of the famous detective, just that the Office for National Statistics requires that more than two babies be registered with a specific name in a year. So, putting our best ear hats on, it would seem safe to assume that the sudden influx (relatively speaking of course) of youngsters named Sherlock must have a cultural cause. Of course, it’s all just so much speculation that the work of Benedict Cumberbatch, Martin Freeman, Jonny Lee Miller or any of the other folks involved in the surge of new Sherlock Holmes-related properties over the past few years had anything to do with the rise in popularity of, what must be said, is a pretty unique name. But, still, how cool is that? On the flip side, this puts “Sherlock” as a name on par with number of children named “Ulysses”, so it’s possible that we still have a way to go before hordes of children are running around calling each other “Sherly”. And before anyone asks, there was no mention of how well “Hamish” performed. Sorry, Dr. Watson. Maybe next year.